This is an alphabetical (by species name) list of sand fly species currently considered not medically important. 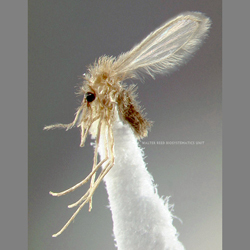 Click on species name for link to WRBU's Sand Fly Catalog and more information. SE (Neo.) hunanensis Leng Yanjia et al. SE (Neo.) lushanensis Leng et al.